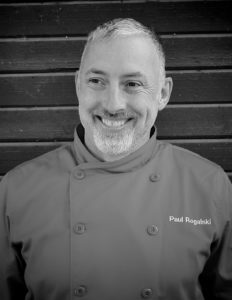 Paul Rogalski is the Culinary Director and Owner of Rouge Restaurant. He is renowned for his passion for exceptional cuisine created from homegrown and sustainable food. He is co-creator and owner of Calgary’s acclaimed Rouge Restaurant, nestled on the banks of the Bow River in historic Inglewood. Paul is the recipient of the University of Guelph Food Day Canada, Good Food Innovation Award (2016) and was recognized by his alma mater, the Southern Alberta Institute of Technology, as a Distinguished Alumni (2014). In 2011, Paul was named by Alberta Venture Magazine as one of Alberta’s Most Influential People.